Since downhill racing becoming more difficult, our products evolve with the topography. The tubes for lowering Maxxis are 1.2 mm thick to avoid punctures, increase stability and allow use low air pressure. 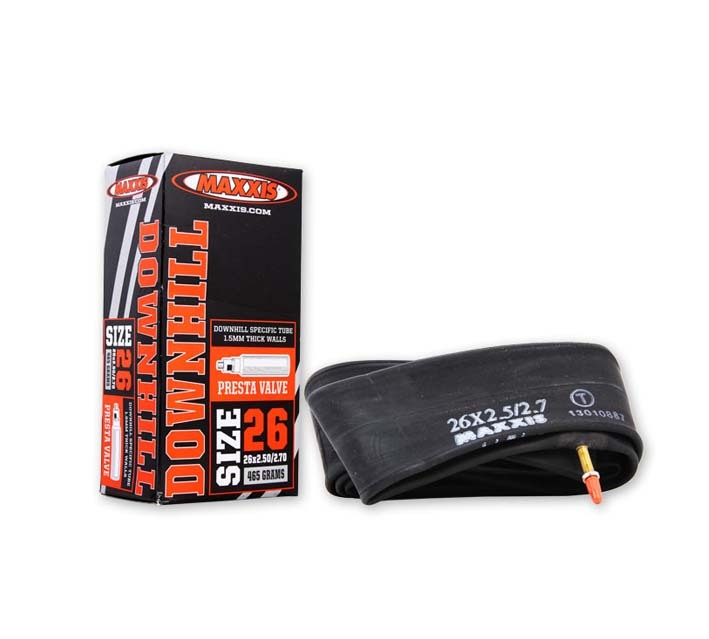 The large 27.5 x 2.2 x 2.5 is suitable for the full range of tires down. Weight manufacturer : 305 g.